The work required waterproofing the basement structure to include repairs to bund liners, installation of a cavity sheet drain system, and cementitious waterproofing to the basement channels utilising a number of Mapei products. Works commenced on site early December 2014 with instructions to complete the project as quickly as possible to enable progression of the site programme. 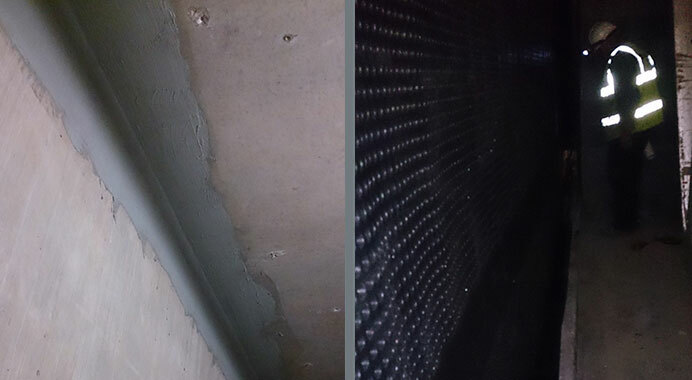 Our works are overseen by a structural waterproofing consultant, ensuring compliance with the design.